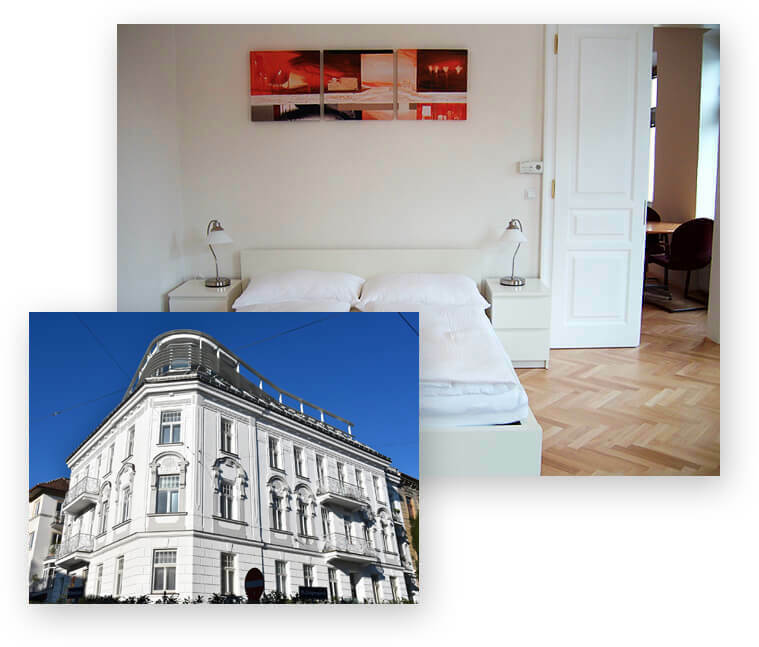 Looking for a furnished business apartment in Vienna for at least a month? Möbliertes Apartment in Wien für mindestens einen Monat gesucht? Apartment Vienna manages a wide range of apartments in various districts in Vienna. Apartments are fully furnished and feature modern fittings and are available in a choice of sizes starting at €690 per month. Pack your bags and move into a fully furnished, modern business apartment in Vienna – it’s never been easier! For your next trips – whether for business or pleasure – choose from our range of apartments instead of staying in impersonal hotel rooms. We offer great-value alternatives where you can really feel at home and still stay close to local public transport as well. So that you enjoy an all-round sense of comfort, we guarantee undisturbed privacy in our self-catering apartments. Choose from different sizes and property types, book by email, and extend your reservation at any time. Throughout your stay, we provide customer support in both German and English. We’ll help you choose the right business apartment, check availability of properties, and provide prompt support for all your housing-related queries or problems. Whether you’re after a spacious apartment or a smart studio, living on the green outskirts of town or something right in the middle of the city’s buzzing centre: all our properties in Vienna from north to south, without exception have convenient public transport links and excellent local amenities. Business Apartments – are short-term lets the new trend?